“The Palestinians were made many settlement offers in the last 40 years. However, they rejected all. It is time for Palestinians to either accept the terms offered or come to the negotiating table. 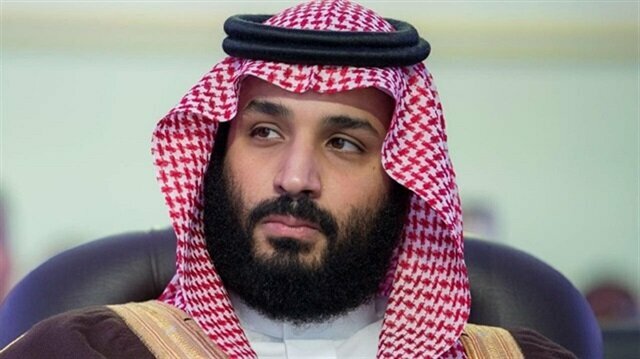 If they cannot do any of these, they should shut up and stop protesting,” Muhammad bin Salman said. Since the era of Sultan Abdulhamid II, Theodor Herzl, considered to be the founder of Israel, used several ploys in order to seize Palestinian properties and eliminate the Palestinian presence in Jerusalem, which is a tactic that is still employed by Israel today. Despite their limited resources and the hardships amid growing discriminatory restrictions imposed by Israel, Palestinians have defied all intimidation and bribes. More than 30 Palestinian athletes have been injured by Israeli gunfire during anti-occupation rallies on border of the Gaza Strip since last month, according to a Palestinian official.“Many of the athletes have sustained serious head injuries,” Ahmed Muheisen, undersecretary of the Ministry of Youth and Sports in the Gaza Strip, told a press conference on Sunday.He said some athletes had their limbs amputated as a result of their injury, citing the case of Alaa Al-Dali, a Palestinian biker who was preparing to represent Palestine in the Asia Racing Championship. "We appeal to the international community and human rights organizations to assume their responsibilities and protect Palestinian youth, children and women," Muheisen said.He also called for launching an international investigation “into crimes of the Israeli occupation against peaceful protesters”.Tension has been high along Gaza border amid Palestinian rallies demanding the return of refugees to their homes in historical Palestine from which they were driven in 1948 to make way for the new state of Israel.At least 46 Palestinians have been killed and hundreds injured by Israeli gunfire since the rallies began on March 30.The rallies are part of a six-week protest that will culminate on May 15. That day will mark the 70th anniversary of Israel's establishment -- an event Palestinians refer to as the "Nakba" or "Catastrophe". After almost a year of the onset of the U.S.-backed Gulf crisis, in which Saudi Arabia, the United Arab Emirates (UAE) and Egypt severed relations with Qatar, covert details surrounding the embargo continue to emerge one after the other, the last of which came from the producers of a film defaming Qatar. It was revealed that Saudi Arabia’s Crown Prince Mohammed bin Selman and UAE’s Crown Prince Muhammad bin Zayid are behind the black propaganda plans against Qatar.It was recently uncovered that these two countries hired a U.S.-based firm, Andreae & Associates, to create a six-part movie called "Qatar: A Dangerous Alliance" to discredit the gulf state. The company’s current CEO Charles Andreae, who is also a registered lobbyist, previously had a $500 million contract with the Pentagon to create fake terrorist videos in Iraq while he was heading PR firm Bell Pottinger.“In August 2017, Andreae, former CEO of Bell Pottinger USA, was given over $500,000 to produce a six-part film linking Qatar with global terrorism,” according to a report by the Bureau of Investigative Journalism.Copies of the film were given out at a Hudson Institute event where U.S. President Donald Trump’s former Chief Strategist Steve Bannon was a key speaker. The video has been viewed over 700,000 times on YouTube.The contract of the film was exposed when a law passed requiring all U.S. companies to disclose lobbying and PR contracts for foreign clients.The UAE had formerly paid $2.5 million to Elliott Broidy, who is close to Trump, to get Washington to stand against Qatar. Saudi Arabia, Egypt, the United Arab Emirates (UAE), Bahrain and Yemen announced in June 2017 that they cut diplomatic ties with Qatar, accusing Doha of supporting terrorism, charges that Qatar denies. They also imposed a land, sea and air blockade, causing the largest diplomatic crisis in recent years.